To cancel or reverse a Sale of Receivables, go to and select the original account that had been sold. Go to and then to . Select the Sale of Receivables transaction. Click to completely remove the Sale of Receivables. 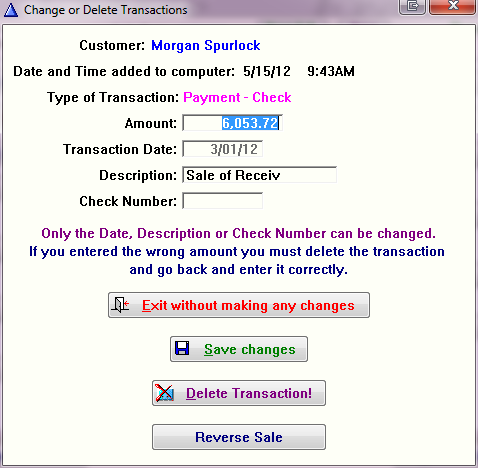 Click to show a record of the reversal of the sale in the General Ledger.